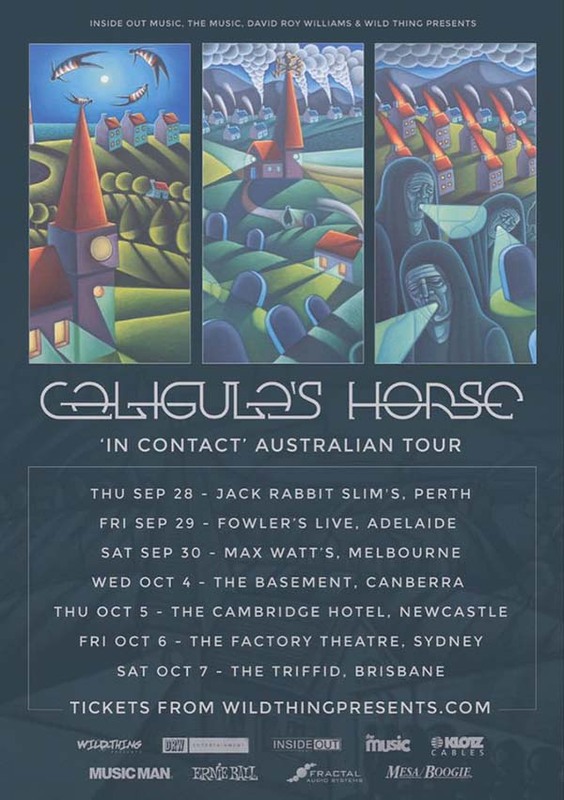 ​Caligula’s Horse, a band at the forefront of Australia’s progressive rock scene, will hit the road for a national tour over September and October in support of their new album In Contact, to be released on Friday 15th September. Their fourth record, In Contact, is an immense conceptual work discussing the nature of art and creativity, a celebration of what connects us as human beings - the shared space across our many differences. Told over four separate chapters, it is an album full of deeply personal stories, characters with their own bittersweet hope and tragedy. This album is yet another leap forward for Caligula’s Horse - steeped in their now-signature ambitious and colourful sound but with a new-found ferocity, In Contact will leave audiences breathless. In Contact stretched all of the band's abilities, from the frantic speed and complexity of Will’s Song (Let the Colours Run) to the immense scope and variety of the 16-minute album closer, Graves. This is Caligula’s Horse at their most ambitious and progressive. Caligula’s Horse will be in lethally potent live form on return to Australian shores, with their In Contact tour seeing them return to all the major cities - after selling out many of them during 2016. Following their recent Australian tours with Opeth and sleepmakeswaves, these will be Caligula’s Horse’s only Australian headline shows for 2017. Following on from 2015’s globally praised album Bloom, In Contact will bring the music of Caligula’s Horse to more people than ever before. An Australian progressive treasure, and on their way to becoming one of the world's leading rock acts, don’t miss out on catching the mighty Caligula’s Horse on their In Contact Australian tour!